CAD-CAM technology is used to automate the CNC manufacturing process and streamline productivity while allowing shops to expand their capabilities and even start up projects they couldn’t do affordably before. 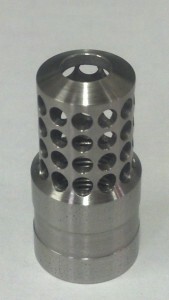 As with the case of David Joarnt of D2 Machining. David started out in high school in the machine shop class where he first learned to program machinery when punch cards were used before modern CNC was invented. Upon graduation, he entered the USAF and for the next 16.5 years he was a machinist at various air bases making parts to repair the aircraft. After getting out, he worked in various machine shops mainly making prototype and limited production parts. After 35 years, David started his own shop with a manual lathe and a Bridgeport mill. From there he bought a Haas TL1 CNC lathe to turn gun barrels for another company. 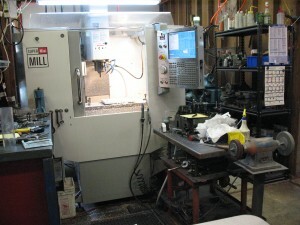 After that he bought a Bridgeport CNC knee mill and installed a Centroid controller on it. For the next 3 years things progressed to the point that he simply needed a faster machine. That is when he bought the Haas super mini mill. Even with all that CNC machining power right there he still faced the challenge of programming the parts he needed with the efficiency he wanted. That’s when he turned to BobCAD-CAM for the technology he was after to make programming easier and to streamline his manufacturing process. The CAD-CAM software allows him to design and import geometry easily and make editing changes on the fly. CAM toolpath machining strategies are provided through machining Wizards offer an easy way to create the machine toolpath that is needed efficiently along with simulation functionality to inspect toolpaths and machining to eliminate potentially costly mistakes at the CNC. Now, with all the manufacturing and CAD-CAM automation technology in place David decided to start another manufacturing business. “Three years ago, I started another company, Oregon Precision Arms where I designed and made the upper receiver for our target 22 target pistol with the BobCAD-CAM system,” says David. The BobCAD-CAM software brought the right amount of technology to their manufacturing process. 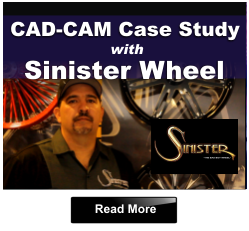 ” I was able to use the cad part of program to reverse engineer drawings for easier editing and I used the CAM side to make changes easier in the CNC programming,” he says. 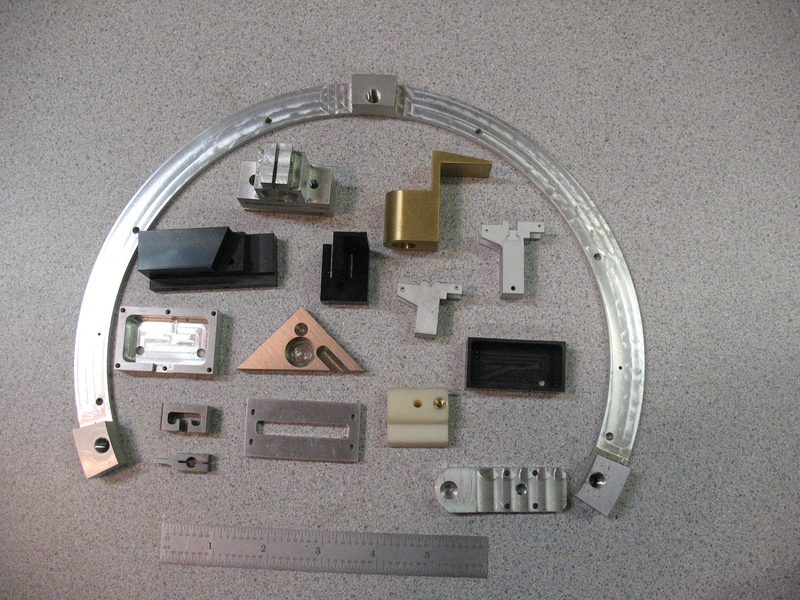 At the shop they machine a wide variety of close tolerance parts from prototype to limited production parts (from 2-100) for various companies which include a fiber optics test equipment manufacturers, a company that rebuilds industrial lasers that are not supported by the original manufacture and one company that builds glue machines for the box and wood industries. They also machine materials from plastic to tool steel. Most of the prior programming was done on machines using conversational programming methods right on the machine which was sometimes very time consuming and difficult. These include a Centroid control a Prototrax machine and a Mitutoyo control. “Using the BobCAD-CAM software to program has been a great asset to speeding things up”, says David. “The additional tool paths in version 27 has saved me some programming time over the other versions and the ability to move the different steps in any order is defiantly a benefit.” he adds. Along the way David decided to attend a BobCAD training seminar to gain an understanding of what the software could do for their shop. “The initial seminars are very helpful in setting up the program and understanding how things work differently than other programs that I have used,” says David when asked about the training. BobCAD-CAM offers weekly 3-day training seminars in major cities throughout the country. In addition they provide one-on-one web based training for those that may not be able to make a seminar. 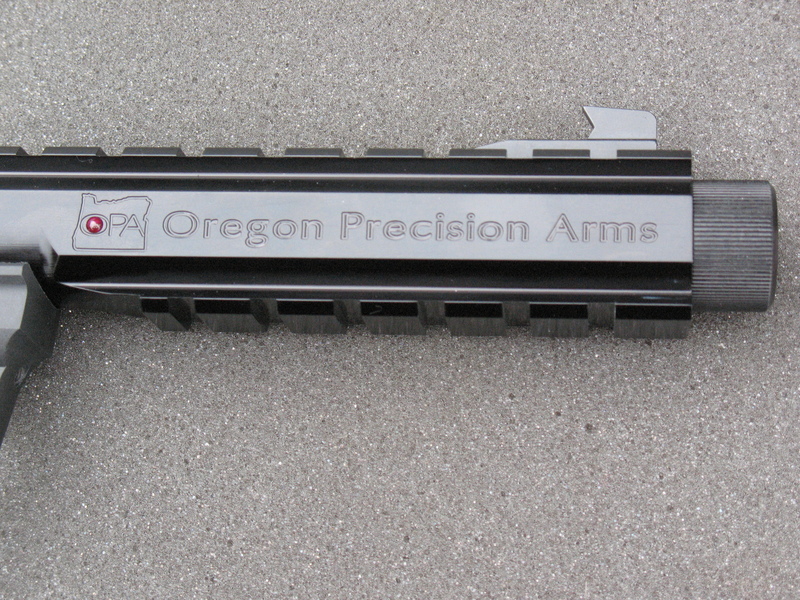 You can visit Oregon Precision Arms online HERE to learn more about the products they offer. As for BobCAD-CAM, you can download a FREE demo HERE.